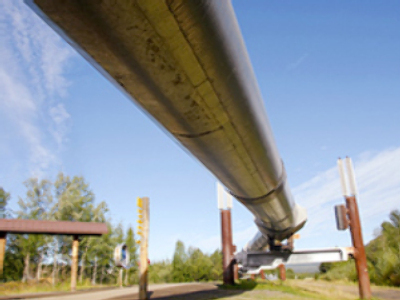 The South Stream gas pipeline will cost an estimated 20 billion dollars – that's according to the Russian Energy Ministry. The major new route to southern Europe, which will be jointly built by Gazprom and Italy's ENI, is expected to take 30 billion cubic meters of gas per year and rival the Nabucco pipeline. ENI's CEO said last year the project might cost at least 15 billion dollars. Gazprom said it would issue a final estimate of the pipeline's cost after its feasibility study is concluded by the end of next year. The pipeline, which is expected to be launched in 2013, is to travel 900 kilometers under the Black Sea to Bulgaria and then split into two onshore routes.